The weather is warming up a bit and we are tired of just about every piece of winter clothing in our closet. We can't look at another chunky sweater until next Fall. Bring on the spring clothes! What's hot this season? We went on official business for this post and scoped it out last weekend downtown in SoHo. Here is More Than Paper's SPRING FASHION report. 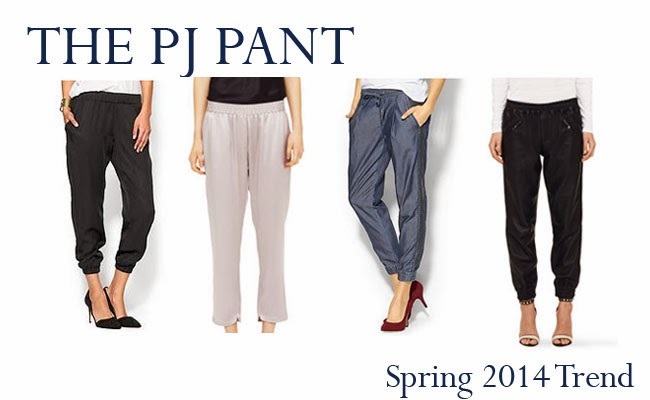 Trend #1: Soft, silk, "PJ" pants. This is a trend that needs embracing! Like wearing your silk pajamas, this trend is uber comfy. Designers everywhere are pushing these soft, silk, pajama-like pants. Be sure they don't look like pajamas, dress up them with wedges or heals (don't wear flats here) and pair with luxe cotton shirts and plenty of jewelry. The key to this look is not looking like you just rolled out of bed. 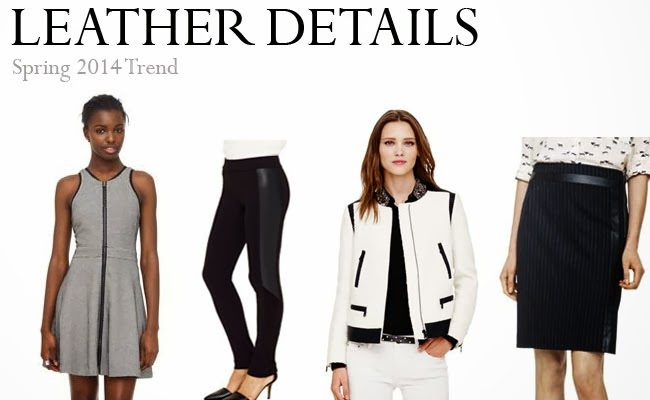 Trend #2: Leather details. Leather is so hot right now and small details are found on pant leggings, near wrists, patches on elbows, zippers, and pockets. You don't need to go head-to-toe leather, just add a little splash here and there. Trend #3: Button downs, button downs, oh -- and more button downs. An easy trend to embrace, there is no shortage this season of button down shirts. Patterns, stripes, plain, florals, there is a shirt for everyone. Dress this look up with a thin belt around the waist, black skinny pants and heels or dress it down with jeans and flats. 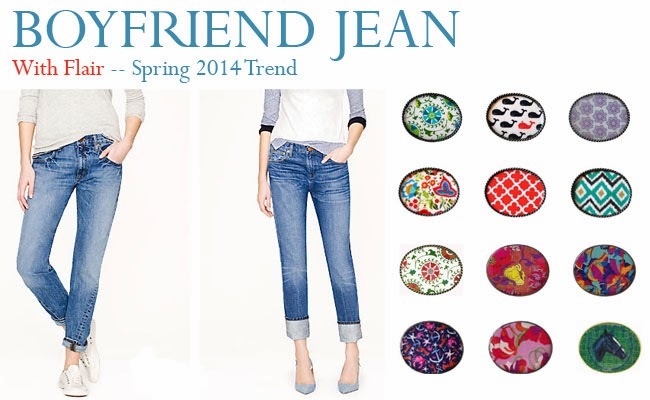 Trend #4: Boyfriend jeans -- here for another season! We like to pair them with a cute belt buckle, found at More Than Paper, to make these boyfriend jeans a bit more feminine. Pair this pant with heels or cute ballet flats to avoid looking scrubby, or make sure you have a really snazzy pair of sneakers or shoes to dress it up! 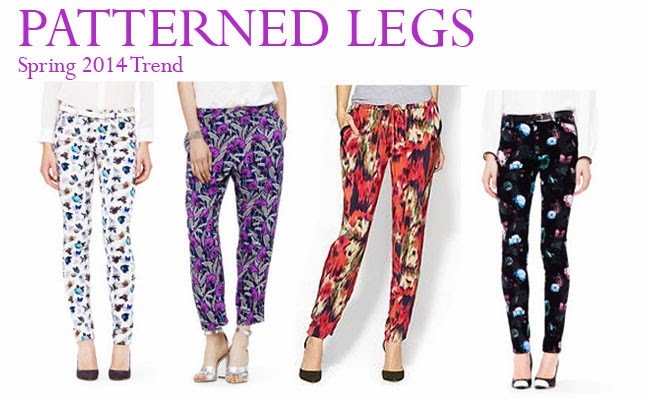 Trend #5: Patterned pants! Really get noticed this Spring with looks like these -- you can't be missed walking down the street. Vibrant colors and bright patterns make a bold statement. Snag a few of these for Spring! All of these clothing items featured here can be found either at J.Crew, Club Monaco, or Piperlime. Shop any of these sites to find all of these looks and shop More Than Paper's cute selection of belt buckles to further customize your look! What do you think of our report? Are we spot on or have we missed a big trend? We'd love to hear from you!